DSqaured2 He Wood Intense Eau de Toilette (100ml) Vapo instantly refreshes today's city-worn man with natural essences inspired by air, water and wood. Dsquared2 combines the pure masculinity of musk with the clear purity of amber and the open freshness of white fir oil to represent revitalising air. The gentle understatement of violet and violet leaf represent refreshing water, while the strength and reliability of wood comes through in tones of sandalwood, cedar wood and vetiver oil. 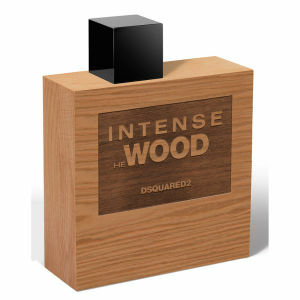 Captured in a glass flask encased in Canadian red alder wood, He Wood Intense makes a unique gift for men who appreciate a reminder of life beyond a gruelling day in the city.